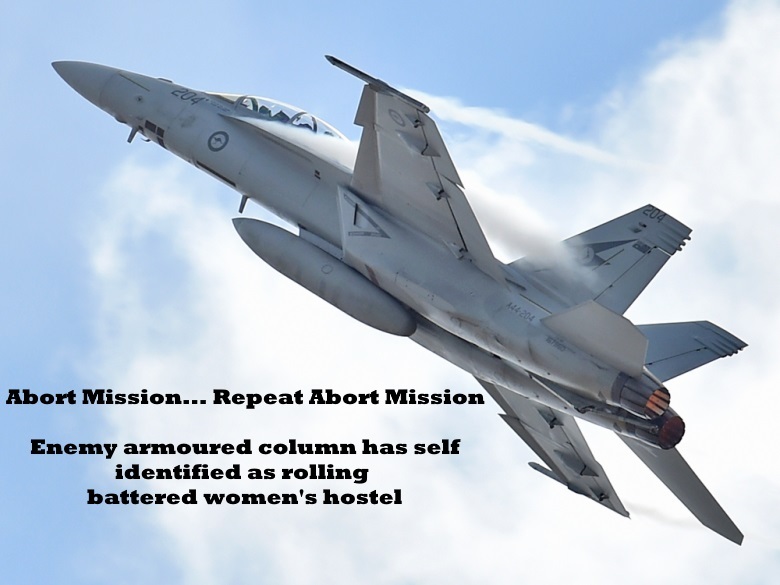 Think of women and take a “gender perspective’” during bombing operations in war zones, combat pilots in the Royal Australian Air Force (RAAF) have been told. The “Gender in Air Operations” doctrine informs pilots what they should do before dropping bombs in war zones to ensure women aren’t placed in danger, according to the Sydney Daily Telegraph. One hypothetical example included in the RAAF guide highlights how destroying a bridge, being used by enemy forces, could force local women to walk further to perform basic domestic chores. Oh Diggers, what’s happened to you?